It is from the Alsace region of France, the northeast section of the country that neighbors Germany. Its hallmark ingredients are a very thin crispy crust, soft white cheese, sliced white onions, and fried cubes of bacon, aka lardons. 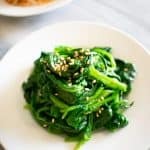 According to the Kitchn, it is usually cut into squares, rather than triangles, and eaten as a first course, though you could serve as a main dish with a salad on the side. How do you make it Asian? Replace the homemade dough with store bought naan. 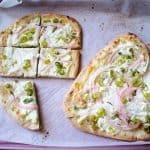 You probably don’t have the time to make your own dough, and even Trader Joe’s sells pre-made naan nowadays. Naan pizza is quite a thing nowadays. It no longer just appears as a flatbread dipped into piping hot curries at Indian restaurants but substitutes as a premade pizza crust, saving so much time along with market share from Boboli. 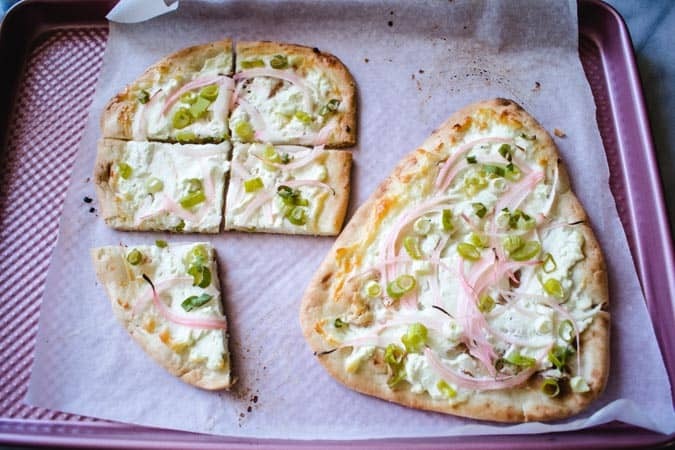 Naan pizza is all the rage. 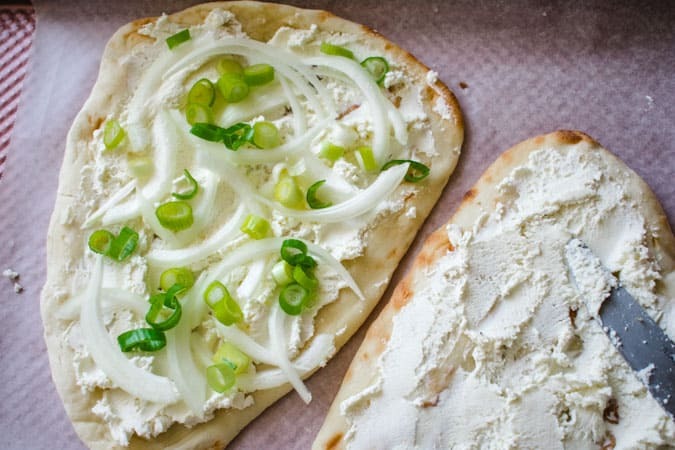 Top with onion, green onion, and fromage blanc – a fresh soft cheese. Fromage blanc – You can sub with a fresh goat cheese if you can’t find a fromage blanc. Spread on the cheese, as much as you like. Goat cheese works asa fine substitute for fromage blanc if you can’t find it. That is self explanatory. Again use fresh goat cheese if you don’t have fromage blanc. A packet of Boursin will do too. 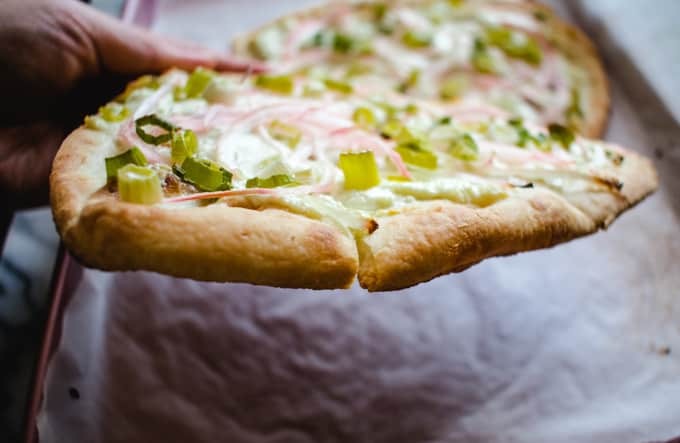 Onions and green onions keep this Alsatian pizza vegetarian. You won’t miss the lardons with all this cheese to keep you happy. 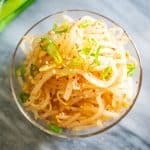 Spread on thinly sliced onion and green onion. 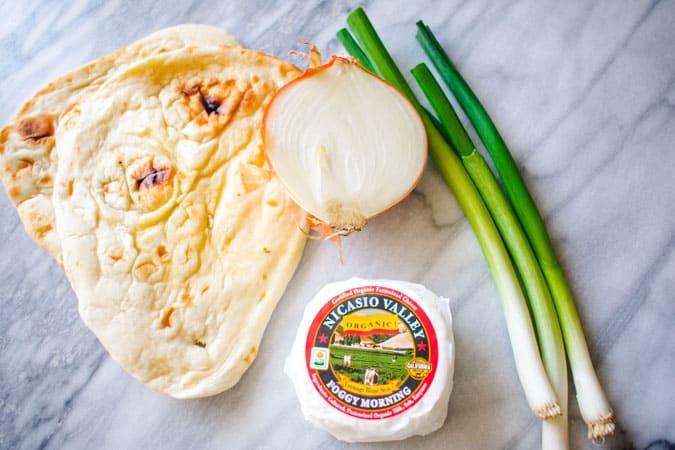 The onions don’t really caramelize in the onion, but they do add a savory quality to the tangy cheese. If using fromage blanc, it will need a sprinkle of salt and pepper. Boursin or goat cheese contains a little more tanginess that flavor enhancement through salt is not needed as much. Notice how the white onions turned pink? Sometimes they do that when baking. They are still safe to eat though. Also, the pizza holds it shape when lifted, which is a sign of crispiness. Depending on how much moisture is in your naan, it may or may not get crispy. If it is older and previously frozen, it has a better chance of getting crispy in the oven right on a regular baking sheet. Bake at 375 degrees for 12-15 minutes, until the edge of the naan bread is starting to brown. Bake until the edges start to turn golden brown. Alsatian pizza is traditionally cut into squares for serving. Though you could treat it as one huge pizza slice and have at it. 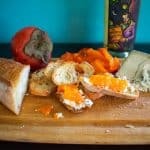 Serve hot or room temperature as an appetizer for a Franco-German themed party or as a wine tasting bite. This wine is comprised mostly of the unicorn wine grape known as Auxerrois. Josmeyer is a certified biodynamic and organic from the Alsace region of France. When in doubt for what to pair with such an unusual wine, the food of the region is generally a good choice, and hence inspired this pizza. Auxerrois is known as a crisp, low acid wine. 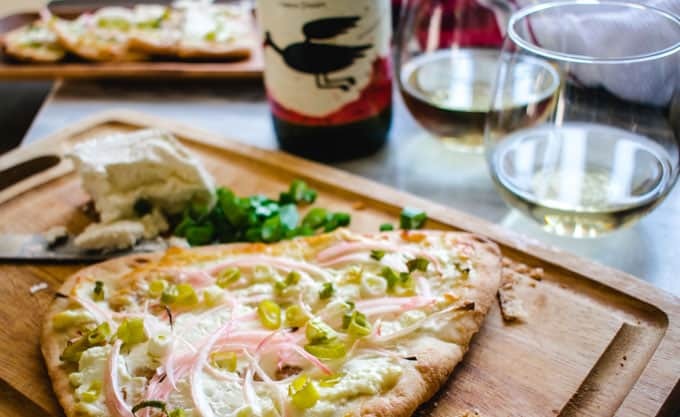 When paired with the Asian Alsatian pizza, the wine becomes more creamy, lemony, and honeyed. 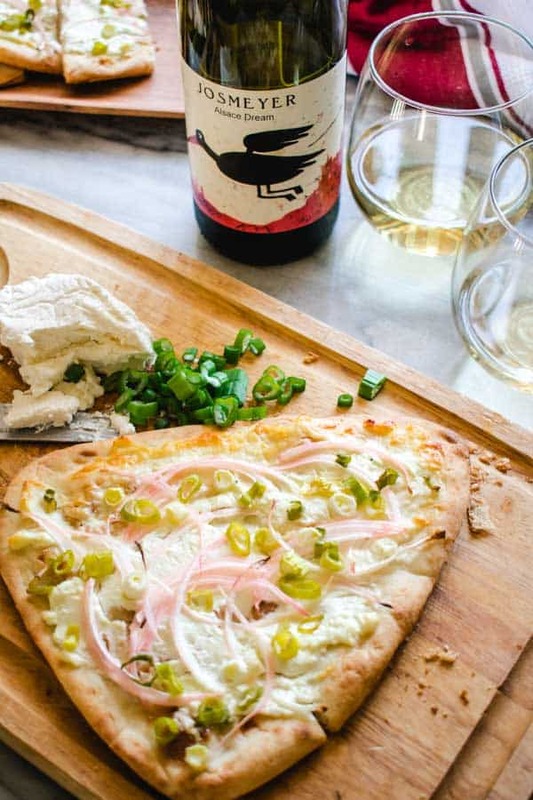 Doesn’t Alsatian pizza sound dreamy paired with the Alsace dream made of the Auxerrois grape? Everyone will be so impressed by your sudden Francophile/Germanic tendencies expressed via food and wine. 1. If you can’t find fromage blanc, use fresh goat cheese. 2. 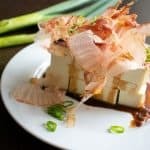 If you do use fromage blanc, sprinkle some salt and pepper on the top to bring out the flavor of the onions and cheese. 3. Bake on a sheet pan until the crust starts to brown. The longer you bake, the crispier it will become. This pizza is best served with white wine from the Alsace region of France and makes for a crunchy appetizer to start the party. Do you want to make more things Asian? 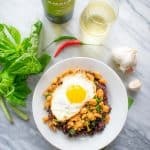 Get the basic Asian Pantry checklist here. Alsatian pizza is something you don't really find in America. However, this Asian version is a cinch to make, and you can prep it in 15 minutes or less. Line a baking sheet pan with parchment paper and naan bread. 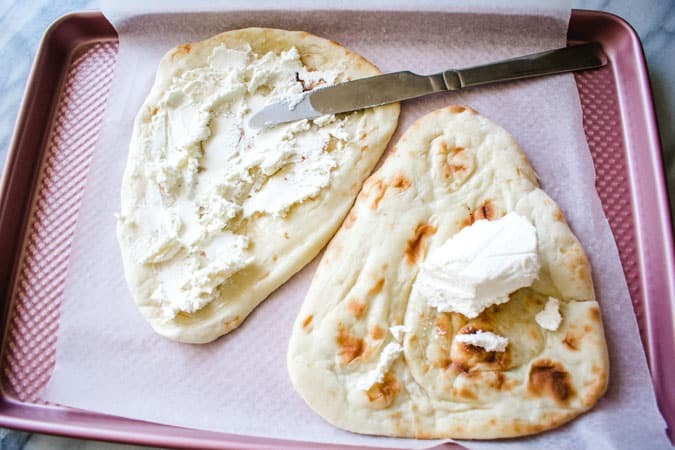 Spread the fromage blanc onto each piece of naan. Top with onion and green onion. Season with salt and pepper if using fromage blanc. Bake for 12-15 minutes until the edges of the naan bread start to brown. Cut into square and serve hot or at room temperature. 1. If you can't find fromage blanc, use fresh goat cheese. P.S. Do you love pizza? Please spread the Asian ♥ and share!